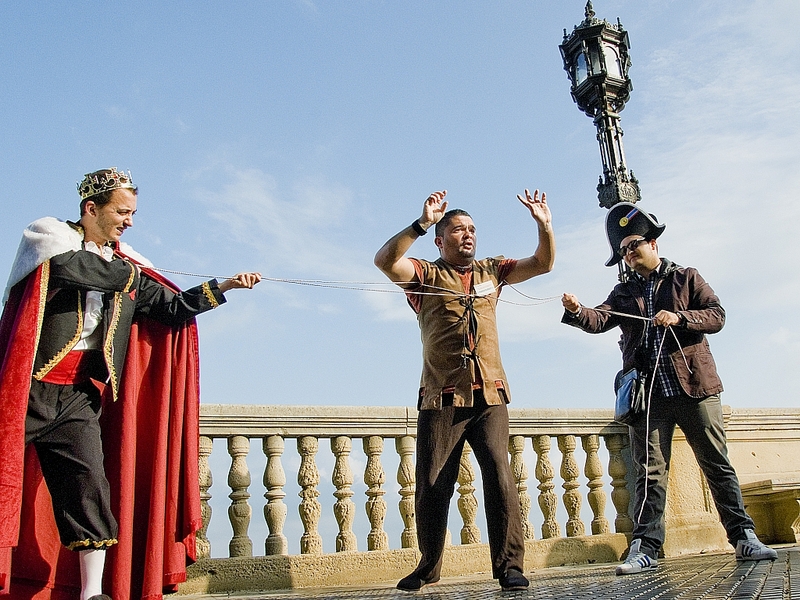 Theatrical visit "Magical Route of 1812"
This route tells us the celebration of the Parliament since 1810, the composition of our Constitution and what this meant for both Cadiz and the rest of the country. This tour is also "magic"; King Ferdinand VII opposed and although he finally agreed, put all kinds of obstacles to avoid signing and in fact, repeal a few years later. It is for this reason that Fernando VII passes the entire route boycotting the "Spirit of the Constitution", who through magic games always manages to succeed. The Deputy Argüelles and the Spirit of the Constitution will stage how those events took place nearly 200 years ago. This tour is also very funny, alternating magic tricks and moments of humor with entertainment with of course didactic about the history of our city and how it influenced the country and the Spanish American colonies and of course a beautiful view.